Given the quality of leadership in Washington, it’s not surprising that many pundits are shifting focus to locally based solutions to pressing problems. This increasingly includes many progressives, who historically have embraced an ever-more expansive federal government. Yet, there’s a problem with how the decentralist argument is taking shape. Increasingly, it is becoming a movement to create ever more powerful regional governments, which tend to be dominated by large cities, their mayors and their power blocs, whether unions, bureaucracies or politically connected developers. The notion of mayors running the world has been endorsed by writers such as Benjamin Barber, and has had the strong backing of Bruce Katz of Brookings, who appears to have lost sight of his long-held faith in the federal government. Not surprisingly, Katz and other have found a new way to press their agenda: regional governments as essentially extended cities. Like many progressive decentralists, he likes handing more power to big-city mayors, themselves generally presiding over one-party (Democratic) systems. It’s hard to underestimate the hubris of this assessment. Despite the slowing down from the Great Recession, the vast majority of American demographic growth and job growth continues to go either into the suburban rings or to low-density sprawling regions, such as Houston, Phoenix and Dallas-Fort Worth, where urban areas and their peripheries are more similar than different. U.S. suburbs now account for 2.7 times the population of core cities. High-density migration, much-heralded by the urban decentralizers, remains a distinctly minority phenomena, while the largest outmigration tends to be from big, dense cities and to suburbs, less-dense and smaller cities and towns. Nor can we see in the mayors some sort of archetype for greater governance. Chicago, under Rahm Emanuel, is hardly an exemplar of efficiency or good fiscal management. The city’s credit rating is among the worst of any municipality, while the economy remains “sub-par,” as a recent bank analyst report shows. Chicago schools are almost bankrupt, and the city’s murder rate is higher than during the Prohibition years. 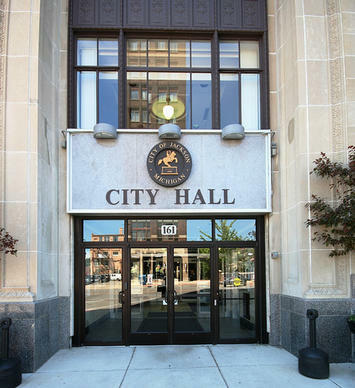 In fact, the city, whose debt load is now the heaviest of any large American city other than Detroit, has now experienced repeated downgrades, and estimated debt now exceeds, by some estimates, more than $60,000 per household. Yet despite this, Emanuel is still hailed, most recently in a Financial Times profile, as “Mayor America” and even touted as a presidential candidate. Emanuel’s backers can note that many of these problems stem from the more than two-decade Daley regime. Yet, Emanuel was, and remains, part of the Daley machine, and even got his start as a Daley fundraiser. To consider him primarily a tough reformer – outside his often foul-mouthed manner – is patently ludicrous. Much the same can be said about L.A.’s Eric Garcetti, who, although certainly an upgrade from Antonio Villaraigosa, was a member, even president, of the same City Council that has driven the city to the brink of financial ruin. Much of the problem stems from union power: the city is spending 18 percent of its budget on pensions, three times the level a decade ago. Los Angeles has among the nation’s weakest urban economies – 28 percent of residents are considered poor – and its unemployment rate of roughly 10 percent is well above both the county and statewide averages and twice that of San Francisco. In many ways, Atlanta’s Reed is barely qualified to speak for his region, as his city constitutes not even 10 percent of the area’s population. Nor is it a particularly successful locale, suffering among the highest crime rates of any big city in the country and, according to one recent study, the most severe inequality of any U.S. core city. Generally speaking, big-city leaders chant a populist rap, but generally it’s the densest urbanized places – San Francisco, Washington D.C., Boston, New York, Miami and, sadly, Los Angeles – that are also the most unequal places. Perhaps the only real potential reformer in the group is New York City’s de Blasio, who took office a few months ago. While de Blasio wants to shake things up, his tendency seems to be making things worse. Certainly his attempt to shut down charter schools, which offer an alternative to traditional public schools, particularly for poorer families, hardly represents a step forward. He may be the people’s choice, but it’s likely he will serve, first and foremost, public employee interests, who have been his main political backers. City Hall photo by Flickr user OZinOH. "... thus enabling cities to finally balance their budgets by drawing from a more stable tax base." --At the cost of destabilizing the tax base and economies of other regions--unless jobs for the exported urban poor materialize in miraculous numbers and with miraculous promptness. One doesn't solve problems by moving them around. In this case, moving the problems around benefits no-one but special interests (developers, bribe-taking politicians, unions) looking to cash in on luxury urban development. I don't know what the ultimate solution to the problem of the cities is, but the intermediate solution is probably containment. Submitted by Jonathan Hopkins on Fri, 04/18/2014 - 09:20. Industrialization attracted migrants from the rural periphery and immigrants from abroad. This began a pattern of upward mobility from working class slums to middle class suburbs. By the 1920s, most new growth of middle class suburbs was occurring outside of city boundaries, thus compelling many cities around the US to annex their suburban towns. By the 1950s, industry had begun a steep decline in cities in favor of ex-urban factories oriented around highways or third world locations. Southern blacks and Puerto Ricans migrating to northern cities in search of plentiful factory jobs quickly fell victim to de-industrialization. Rather than experiencing the upward mobility that Italians, Poles, Jews, Germans and Irish had before them, blacks and hispanics became trapped in decaying urban neighborhoods, unable to improve their situation. The inability to attain employment in cities nor access the booming economy in ex-urban areas gave rise to the welfare culture. Cities didn't create these issues, they fell victim to circumstance. Lots of people who can't find employment need lots of serivices. Lots of people who can't find employment happen to live in cities due to historical circumstance. Therefore, cities need to provide lots of services, which they cannot afford due to housing a disproportionate number of the region's poor. Cities don't exchange services for votes, they provide services based on need. Besides, the people who benefit most from services don't vote. The remaining upper, middle and working class populations who are being taxed to death in order to provide for the entire region's poor population are the ones who vote. What we've learned over the last 50 years is that containment will not work. Solving the issues of poverty within cities will not work, regardless of how much money is thrown into schools, policing, community centers, etc. The issue is the concentration of lots of poor people in small geographic areas - that's where gang culture is fostered. Many urban poor people will be able to find employment in ex-urban commercial areas like shopping centers because the only thing that has stood in their way has been lack of access. It's true that there may not be employment for everyone, but that will have to be an issue that municipalities address at a decentralized, local level because addressing the issue of a region's poor at the centralized, urban level has been disasterous. The largest barrier to employment is transportation. The urban underclass is not a creation of cities, but rather the result of de-industrialization through ex-urbanization and globalization. The majority of low-wage working city residents, commute to outside suburbs/ex-urbs for employment. Many of the low-skill service jobs that could potentially employ the urban underclass are located in ex-urban locations that are simply out of reach to people with limited means of transportation. Concentrations of the poor in inner city neighborhoods cannot continue. To me, the obvious answer is to maintain political autonomy for suburban and ex-urban towns, but in order to avoid annexation and regionalization efforts these towns are required to meet minimums for affordable housing. The goal of this would be to increase access to employment areas for the region's poor while allow for the revival of the city's decayed neighborhoods. Submitted by greg27241 on Tue, 04/15/2014 - 18:44. I like the idea of decentralizing power to local communities and I can see where this type of power could be problematic if placed in the hands of local large city mayors and the "machines" from which they spring. I wonder why no one is proposing creating an urban federation where the large city and its surrounding cities have a system of decision-making in place that recognizes the needs of all. Interestingly, this may work best in places where a cluster of cities exist such as one named in the article, Dallas-Fort Worth (DFW). DFW is less a city than an urban region made up of a cluster of cities and counties with Dallas and Fort Worth as the main anchor cities. If a DFW urban federation existed, perhaps such things as economies of scale could be developed in such areas as police, fire protection, regional transportation, social services, and other possibilities. A charter could limit the scope of the urban federation's reach, but it might even come up with innovative solutions to problems crossing city and county boundaries. Of course, among those opposed to such an idea will be the usual anti-government types who see a nefarious tyrannical plot behind every rock and those who fear their current authority would be threatened. But, just as the area was able to overcome their differences to build the DFW International Airport, other greater possibilities are yet to be imagined. Submitted by Jonathan Hopkins on Tue, 04/15/2014 - 12:58. Continuing the status quo where central city municipalities provide the high-wage jobs that fill the suburban municipal coffers, while housing a disproportionate share of the region's poor is unacceptable. I agree that regionalization or annexation to create larger central city administrative districts is not the ideal way to address the very real issues that exist. The alternative to maintaining the status quo and avoiding annexation/regionalization is to keep traditional municipal boundaries, but require that each municipality within a region provide for their share of the region's service-consuming population. When metropolitan regions were centered around a single urban core a century ago, it made sense that the ciy provided the services for the poor. However, now that regions are decentralized and multiple concentrations of economic activity exist, the city can no longer be expected to provide for the region's poor. Affordable housing should be built where the jobs are, commercial development and civic organizations will naturally follow. A redistribution of the cities' poor into new communities close to employment will open up urban neighborhoods for renewal, thus enabling cities to finally balance their budgets by drawing from a more stable tax base.